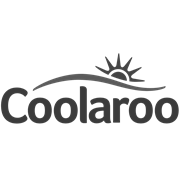 Coolaroo's weed control mat is made from a woven fabric designed to 'breathe', allowing water and air flows through, promoting healthy soil and plants. It inhibits weeds growth and greatly reduces the need for harmful sprays, making them a good choice for a cleaner landscape. Strong, durable and easy to install, these weed mats come in a range of pre-packed sizes for your convenience.